This week Michael has sent me an exceedingly obscure song. Despite Michael’s mightily impressive knowledge of 1980s songs, he told me knew nothing about it apart from its name. 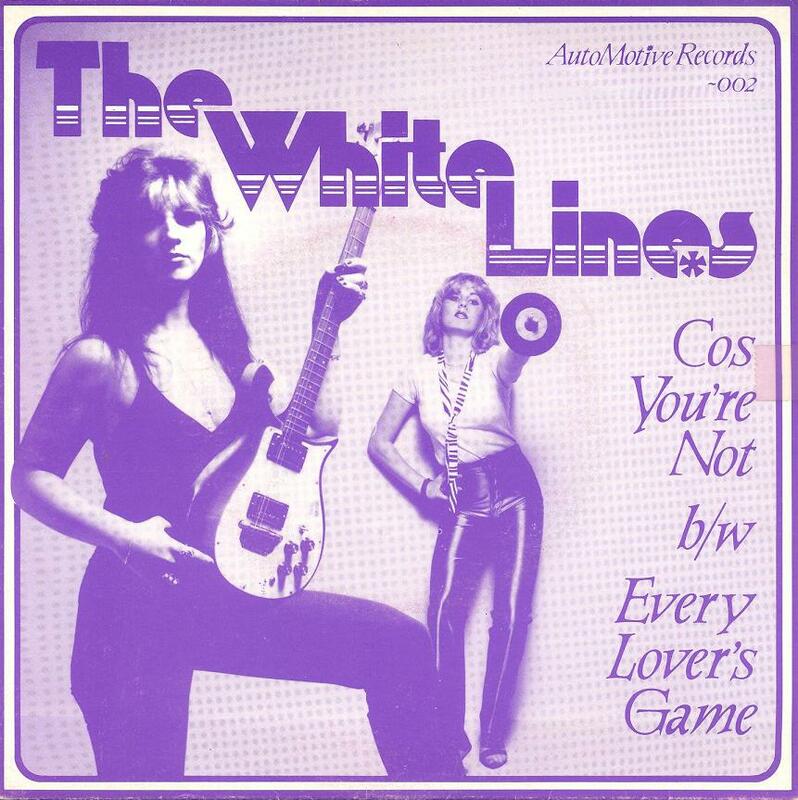 The song is “Cos You’re Not”, and it’s by The White Lines. I had a listen to the song, and was underwhelmed in a major way. Then I had another listen to it. Unfortunately, after listening to it twice I couldn’t think of much to say about it, because I found it all so… ordinary. Instead of delving into every audible nook and cranny, I’m just going to jot down some random notes as I listen to it for a third time. A couple of the tunes are mildly catchy. That’s an anaemic guitar solo (1:37-2:06). I can’t really think of much else to say. I think I can see why Michael likes it, though. I think the song is likeable, and has elements (e.g., a couple of hummable tunes, singing with conviction, guitars galore etc.) that would be appealing to someone who is attracted to those elements. Unfortunately, I didn’t find any of those elements strong enough. Thanks anyway, Michael, for increasing my knowledge of pop music by one song. You are currently browsing the archives for the White Lines category.